I’m not sure if the original question was even an invitation but a few days after those words were spoken, I was driving south down the I-5 for a couple of nights of indulging in my favourite past times, beer and food. 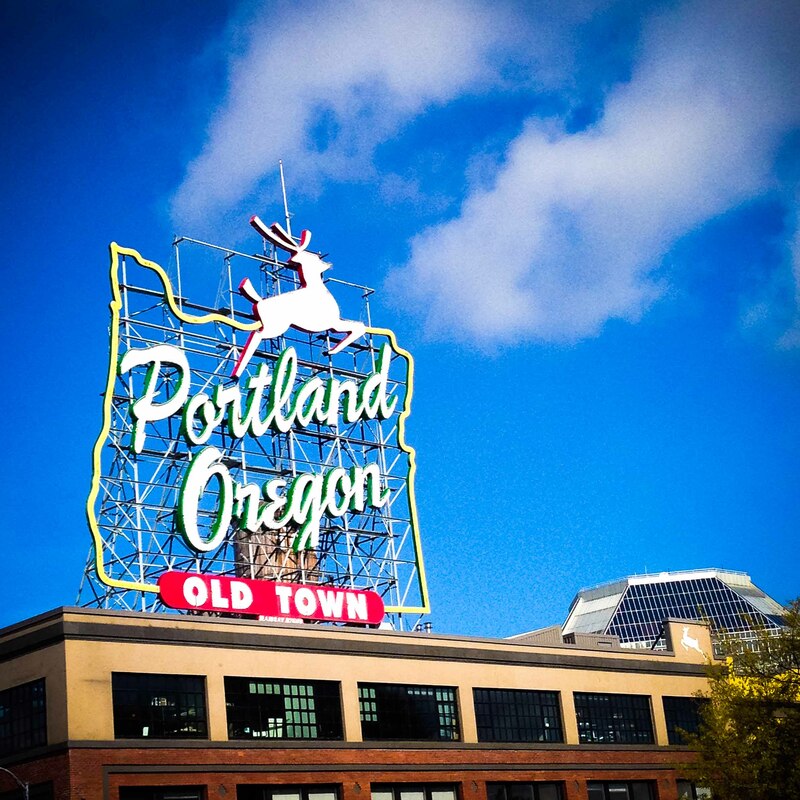 Given my fondness for Portland, it’s amazing that it’s been 3 years since my last visit. I wasn’t going for long, and knew my nights would be taken up sipping cold brews, so I didn’t put a lot of effort into finding 50 new places to eat. In my mind I had a few places I wanted to try, a few places I wanted to return to, so with that in mind I was set and ready for the 6 hour drive south. This wasn’t going to be a trip about VooDoo donuts, nor was I seeking food trucks or any sort of Portlandia. I was going to explore the beer in Portland with a friend who isn’t food focussed, so I decided that I wouldn’t be either (within limits). Driving into PDX, the first stop was to get a quick drink at Deschutes Brewery during Happy Hour. The bar was packed at 5:00pm, but seats were found and a few beers were quickly consumed. My beer tastes over the last 6 months have changed and I no longer reach for the Hefeweizen’s and am now drawn to the browns and ambers of boutique breweries. I’ll come clean now. When I drink beer and am having a good time being social, I forget to take photos. Although I sampled a few great beers at Deschutes and ate a decent Happy Hour mac and cheese, I have no record of that. Nor do I have a decent record of so many other beers and beer places and beer accompanying food, I experienced on this trip. But I feel like for me, not having photos is a testament to how great a time doing the “beer thing” in Portland really is. One of the restaurants I’ve wanted to try in Portland is Le Pigeon, but on this trip, I didn’t want to have to get into the car to find dinner. 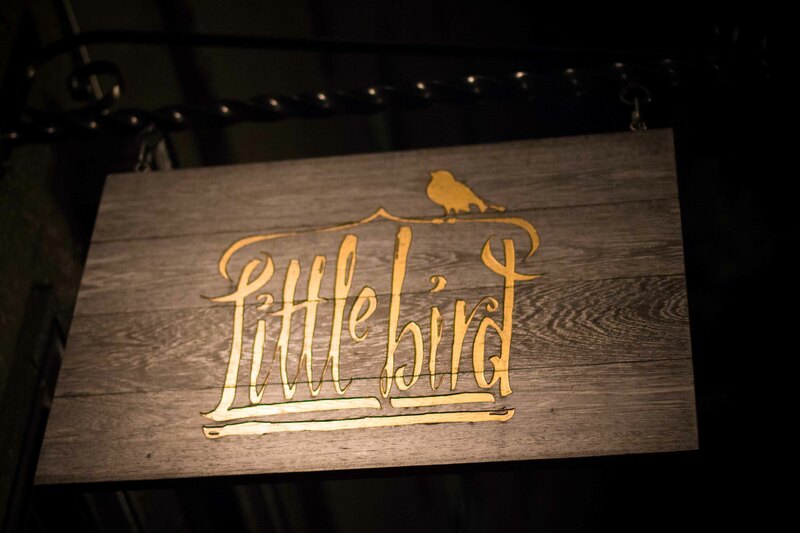 Luckily, I was staying a few blocks away from Le Pigeon’s sister restaurant, Little Bird, even luckier still I was able to pull up to the bar for my meal. I love eating at the bar because it automatically makes me feel like it’s a more relaxed “casual” meal, which is exactly what I was in the mood for. 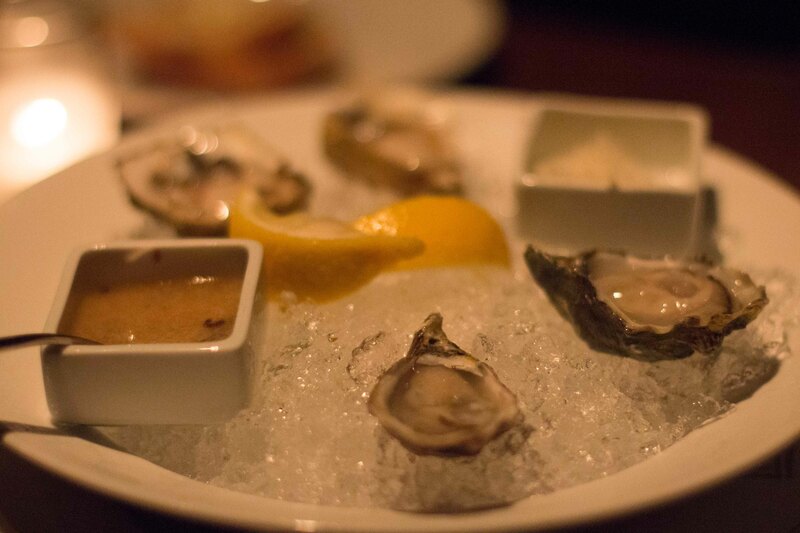 If it’s on the menu, I have a hard time not ordering oysters. 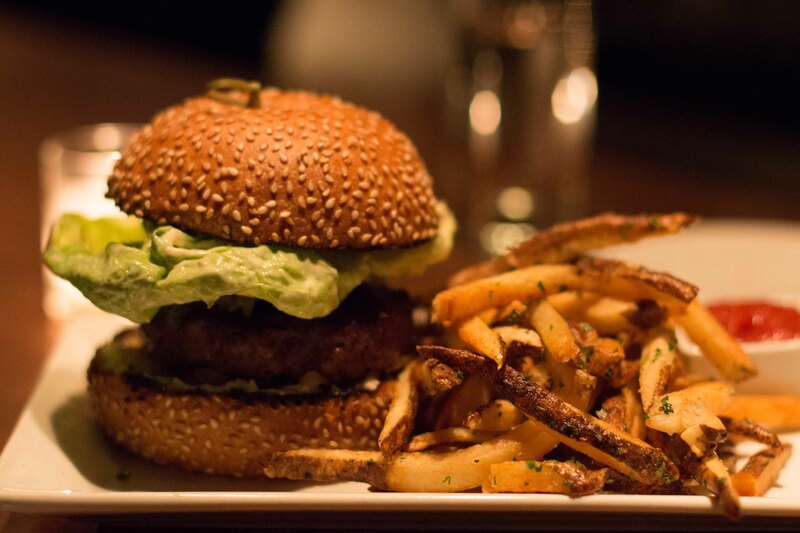 Burger with onions, goat cheese, pickles, butter lettuce, brioche, fries = Fantastic! After probably too many drinks, I still had some gas left in the tank, so we settled in for a drink at one of my favorite pubs in Portland, Bailey’s Tap Room. A fantastic beer bar with a great selection of brews with a great interactive board to order off of. Touting something as my “favourite” often lends itself to disappointment on repeat visits, but not here! 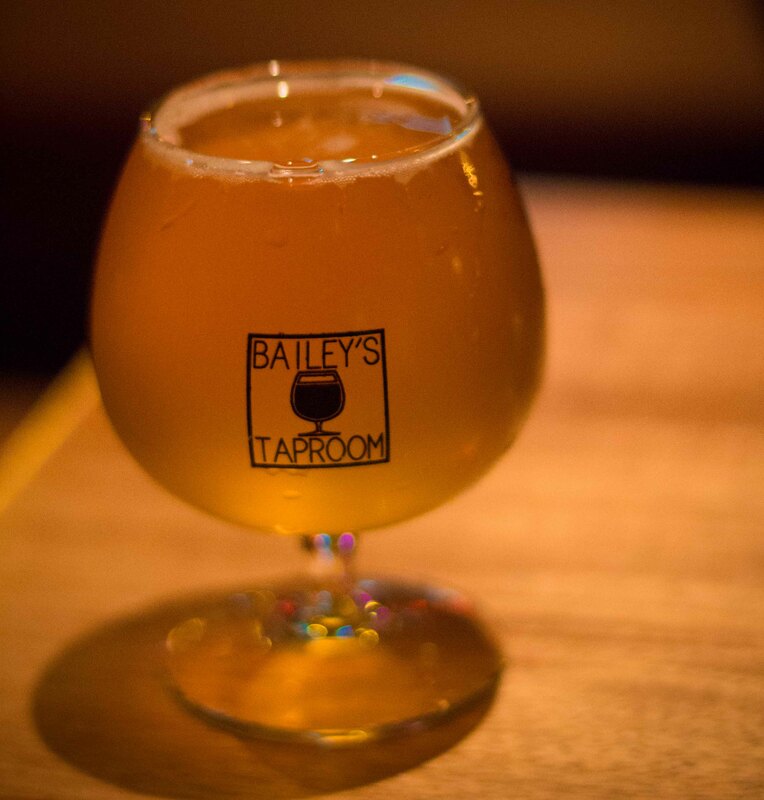 The only knock against Bailey’s is its midnight closing time. I was good for another few, so we asked for a recommendation from the bartender at Bailey’s. 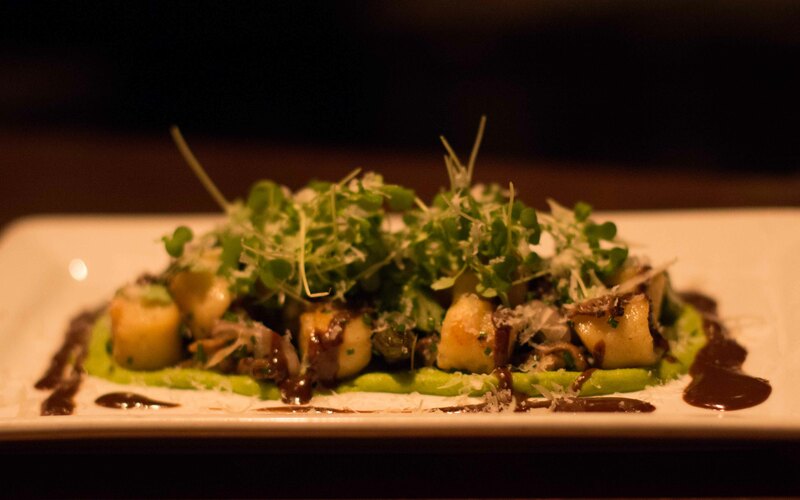 They led us to a (very) dive bar in the Pearl district, the Life of Riley Tavern. The cool thing about PDX is that even the dive bars have great local beers. 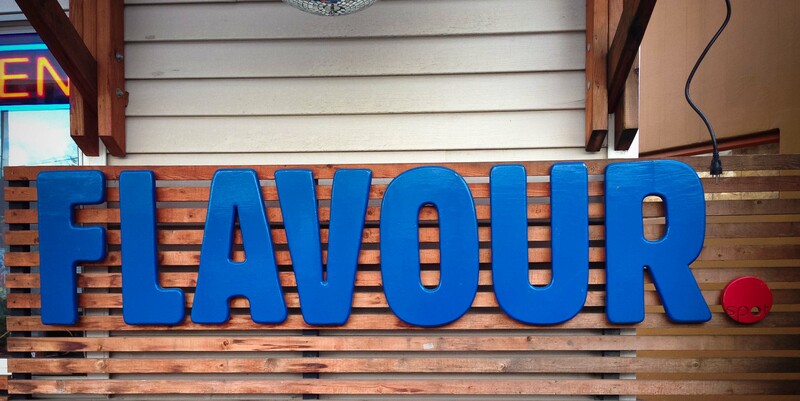 After a night of imbibing in delicious brews, I wanted nothing the next morning that to fill my belly with food to soothe my soul and I had the perfect place in mind. Sen Yai is Andy Ricker (of Pok Pok fame)’s noodle shop. Although I wanted to visit Pok Pok again, I knew it was unlikely I’d get into a car in the evening to make the trip, but when I discovered Sen Yai had a breakfast menu that included jok (rice porridge), I knew I had to make it a priority to visit. Asian breakfast is the only time I get really excited about eating in the morning, and since I rarely have it outside of Asia, I knew Sen Yai was going to do just fine as my “alternative to Pok Pok”. 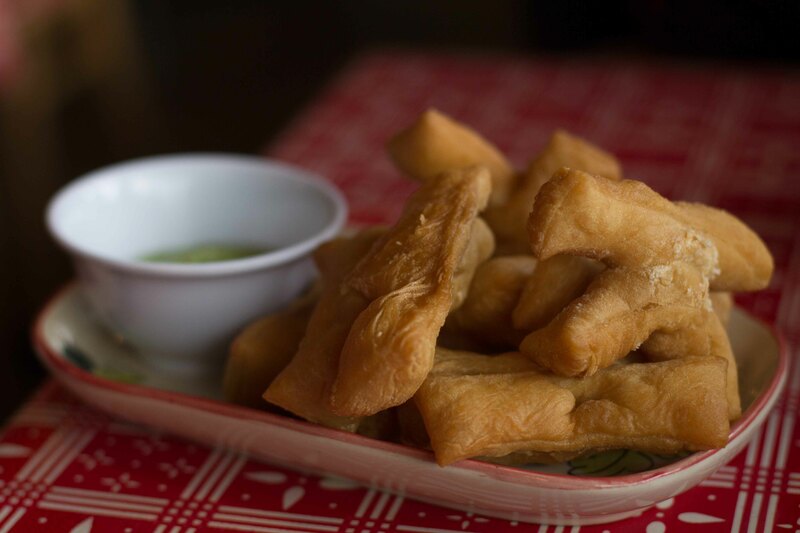 Patangko – fried Thai style savoury crullers were great dipped into my jok. 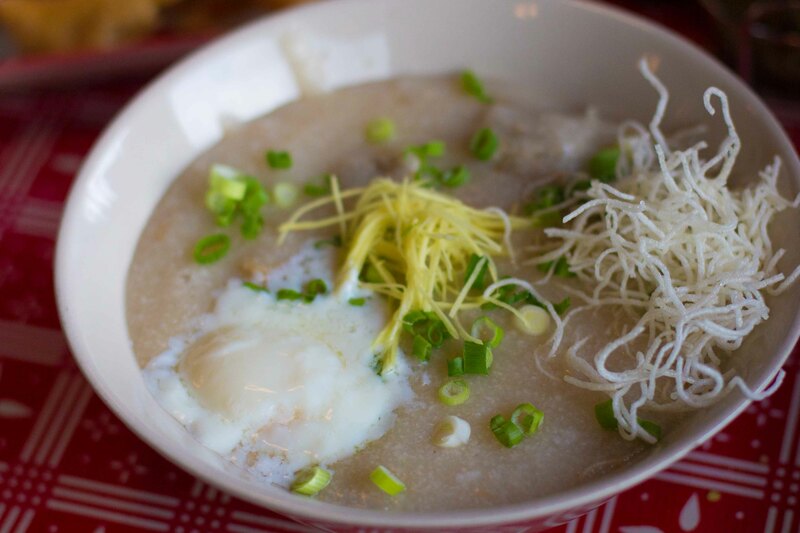 Jok (rice porridge) with bouncy pork balls, ginger, onions with crispy rice noodles topped with a runny egg. 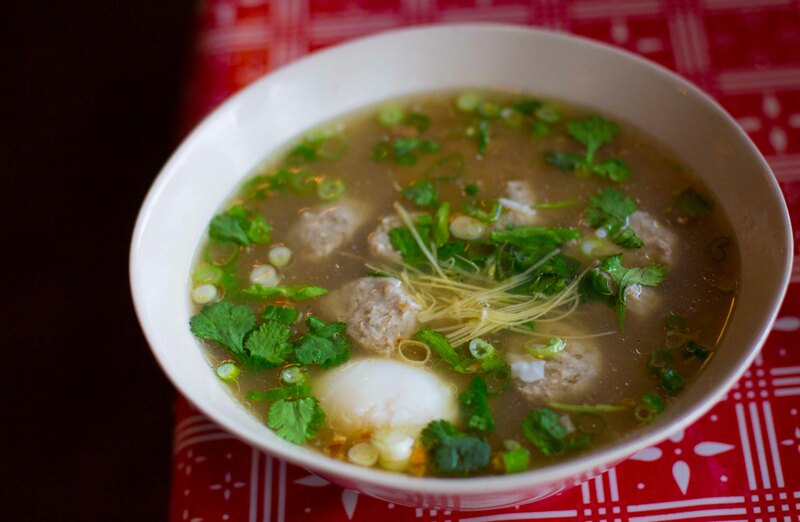 Khao Tom – pork soup with rice, ginger and a runny egg. While both were good, this is the bowl I’d return for to cure anything that ails you. With a breakfast that thoroughly stuck to my ribs, I was ready to explore the area outside of food and drink. 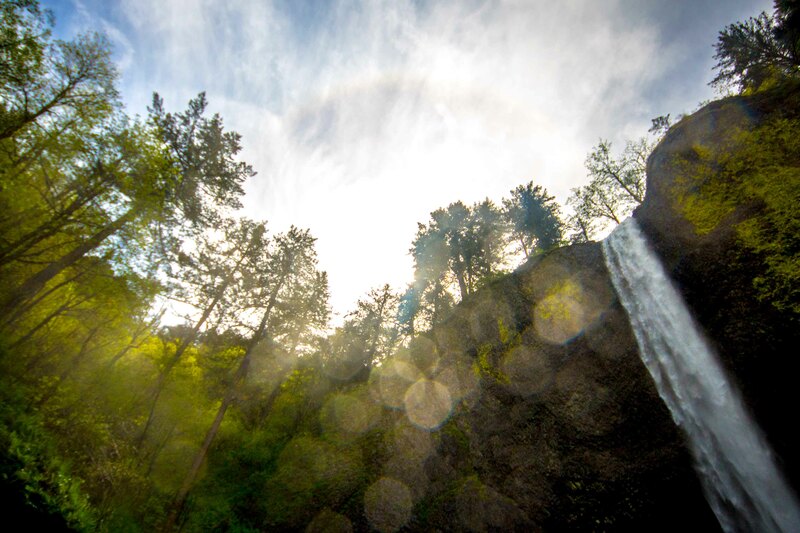 I had marked Multnomah Falls as a drive worthy destination that seemed right on pace with agenda for the day. Driving through the Columbia Gorge, with small walks to marvel in its glory was just the right pace to recover from my night of indulgence. 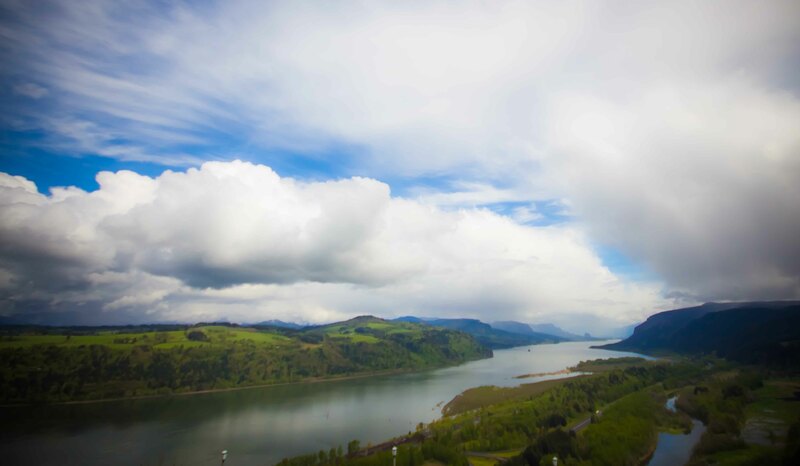 View of the Columbia River from Vista House. Unfortunately the picturesque bridge that “makes” Multnomah Falls was taken out by falling rocks earlier in the year and in repair and covered by an ugly tarp. No photos of that, but the whole experience of the day was definitely magical. I love living in the Pacific Northwest. A day of fresh air worked up my appetite for another beer adventure, and I knew I had to visit Rogue Ale House before I left PDX. It was busy late afternoon on a Friday, but we were able to get 2 seats at the bar. The beer filled me to the point that all I needed for food was tater tots and bad wings from Rogue, but at that point I really didn’t care about food. I was happily enjoying Portland, carefree. 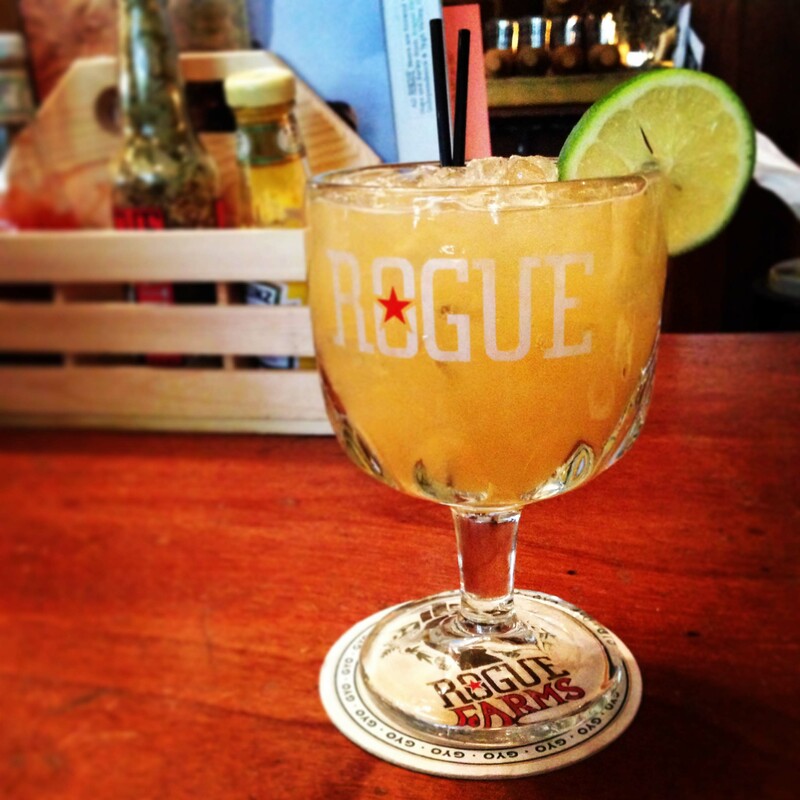 After thoroughly exploring the beer menu, I moved into sampling Rogue’s distilled offering with a Pink Gin and Juice. Another great night out led and before I knew it, it was time to head north again. But I needed to make a couple stops before speeding up the I-5 towards home. 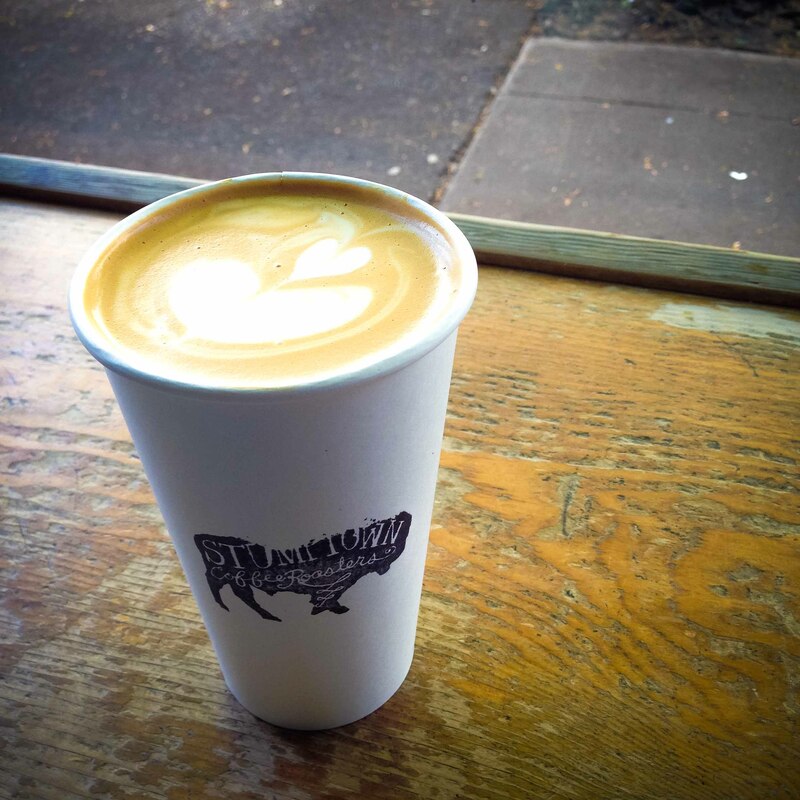 I am actually “over” the overly acidic flavour profile of Stumptown coffee, but craved a latte which didn’t disappoint. 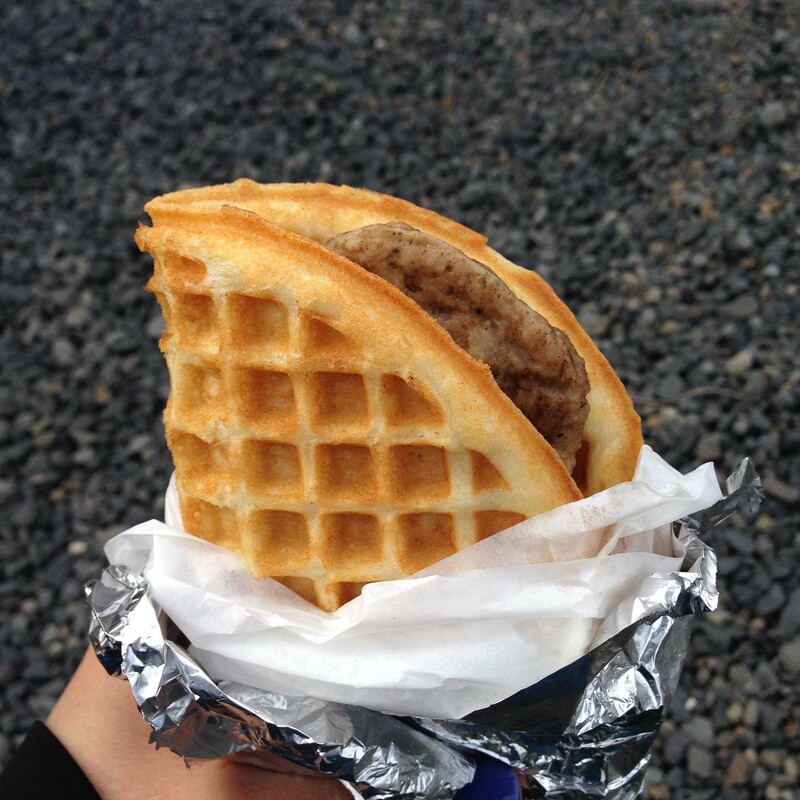 Waffle with sausage & maple bacon butter is another great hangover cure and the perfect road food to start a long drive home. My trip to Portland was sweet but much too short. 2 nights are not enough to get comfortable again in this most laid back city. I will definitely have to make the effort to return again soon.